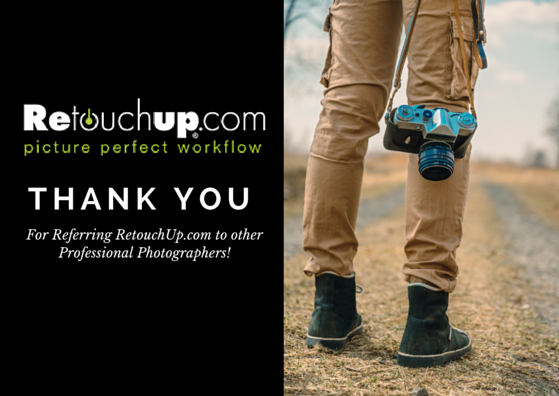 Thanks for referring RetouchUp.com to other Professional Photographers! We love that so many of you refer us to others. We can’t say thank you enough! One of the questions we often get from professional photographers is if they can recommend our services to others outside the industry. We choose only to work with Professional Photographers for many reasons – the knowledge of what is and what isn’t possible in Photoshop and Lightroom, the quantity and quality of photographs sent to us, and the professional partnership that we can share with qualified individuals such as yourself! 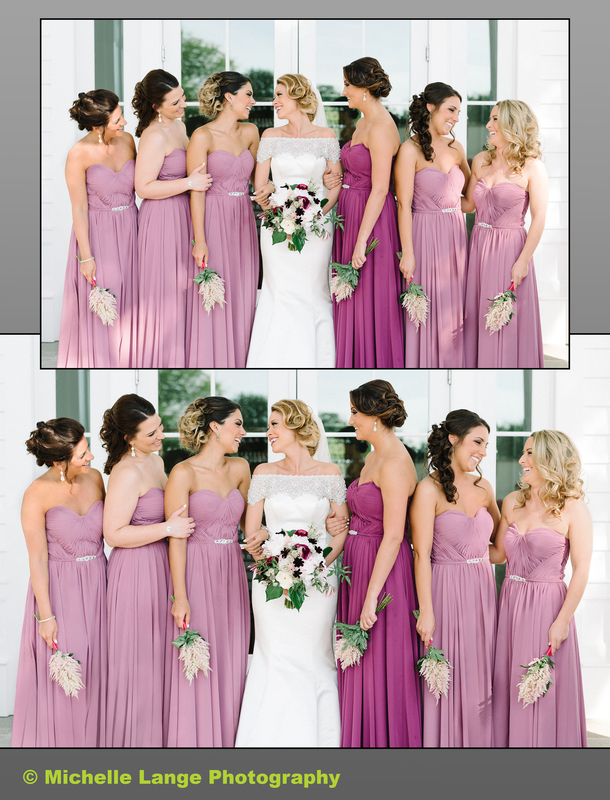 Pro photographers understand on a highly intimate level what a great tool Photoshop is to have in their arsenal. The possibilities to make their images be the best they can be are almost endless! On that same note, pros also are very aware of Photoshop’s limitations. It can be amusing for those who use PS in their work to see how Hollywood uses it. In a crime movie, a detective can direct his IT specialist to take some extremely blurry and pixelated security footage, zooming in and enhancing the image until the image is sharp and crystal clear. So crystal clear you can see the suspect in the reflection of the bank teller’s eyes! We have found that the general public has more of the Hollywood perception of what Photoshop is capable of. 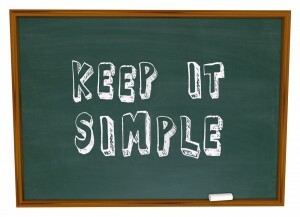 When a non-pro has sent in an order to RetouchUp.com we have often found that they may have unrealistic expectations. This taxes our artists and our system, which could affect the quality of service we want to offer our clients. Professional photographers take professional pictures. We don’t mean just head shots for a local business! We mean pros take professional, top quality, high-res images that took years of hard work, training, and continued education to master. These ain’t your neighbors’ low res selfies coming in. Your hard work behind the camera deserves only the best on the post-production side! Receiving top quality images from photographers lets us give top quality editing back. Pros shoot over multiple photos per session, delivering several final photos for their clients to choose from. The quantity (and again quality) of images that a pro sends in over the years helps us provide volume wholesale pricing to those in the industry. Our affordable, simple pricing wouldn’t be possible if we served the public who usually only send in one image to never return as a customer again. We value our relationship with our partners over anything else. Working with you and being a part of your workflow is an honor to be a part of. You trust us with your images. They are your art, your time, your energy, your passion and your business. Your passion helps push us to grow with you as a partner to deliver outstanding retouching and the highest customer service. 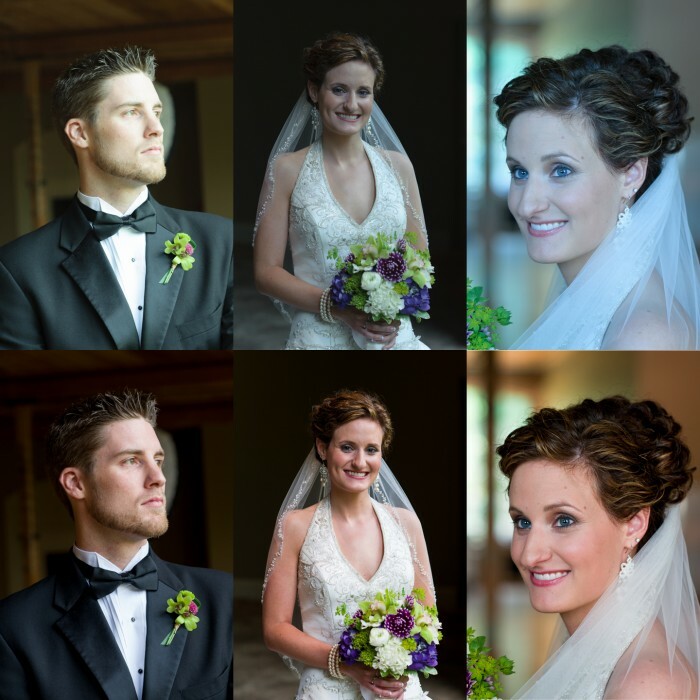 We are incredibly grateful to you for choosing us for your retouching and editing needs. Thank you for recommending us to your colleagues, your pro friends, in social media and around the internet in photography forums and blogs. That is a true compliment that means the world to us! Complete (Standard facial retouch). This is the stuff you see every day. The blemishes, stray hairs, facial shine, softening bags under the eyes, and whitening teeth and eyes (this upon request.) This is easy to understand. Standard facial retouching. We call it “Complete”. It’s a complete standard facial retouch. Complete Plus. 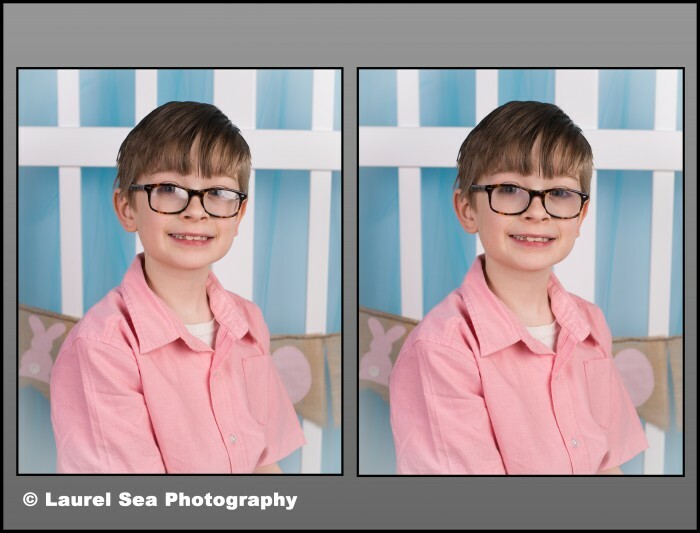 This includes the Complete(standard facial retouch)… PLUS certain specific additional items such as Eyeglass Glare, Head Swaps, Brace Removal, Extending a canvas background to fit more people. The items covered by Complete Plus are specific, and listed. Special Services. This category covers everything not already specifically covered by the Complete and Complete Plus categories. Adding or removing buildings and people, thinning someone out, removing cars or other objects. This is the catch-all. This system works. Our clients appreciate our pricing system, and consistently list it as among our most appreciated strengths. You can’t know how long an image will take us – so we don’t charge based on difficulty. You can’t know off-hand whether removing these powerlines or removing that acne will take more time – so we don’t compare between categories. Instead, you can know that certainty that Complete covers standard facial retouching, that Complete Plus covers braces, eyeglass glare, head swaps, extending backgrounds, and that Special Services covers everything else. You can learn it, know it, and count on it, just like we do! In an age where uncertainty, fear and doubt are created by news headlines and even social media, how do your vendors work to reassure you that they’re doing the right things to protect your credit card information? What is the most certain way to protect credit card information? Professional retouch service provider RetouchUp® believes it’s best not store it in the first place. Credit card information is not stored on RetouchUp.com servers, even in encrypted form (and it’s been this way since 2014). How can a company that receives payment via credit card process payment without storing those numbers? RetouchUp® relies on Authorize.net’s Customer Information Manager service (and has since 2014) to protect its clients’ payment information. When a RetouchUp.com client enters their information, it is provided directly to secure payment processor Authorize.net, which then stores the information, and provides a special identifier. Instead of a credit card number, the unique Authorize.net token is stored on RetouchUp® servers. Even the last four digits, and expiration date, (necessary to know which card a client has on file), is requested live from Authorize.net when viewing client account details. When using RetouchUp.com, you’ll notice that the site is run on HTTPS (SSL encryption) by default – meaning that all traffic is encrypted between the server and the client computer. In addition to trusting Authorize.net’s expertise in processing protection and information storage, rather than their own, RetouchUp® relies on quarterly information security audits, as a part of strict PCI DSS compliance, to make sure its system is a secure foundation on which to conduct business. These are recommended steps for any company accepting credit card payment information. RetouchUp.com’s activities have been successful. The company believes, however, that responsible business requires a plan to protect against new and emerging vulnerabilities. Outside information management and auditing experts are an important piece of RetouchUp’s continuing information security plan. Without light, photography as we know it would not be possible. Controlled light is what allows us to create beautifully executed studio or outdoor portraits and wedding images that enhance the bridal gown with great detail and precision. Uncontrolled light can create a real disaster such as extreme over exposure, unintended lens flare, hard shadows and light spots. While most of the time we can control these lighting issues, there are times that the sun will suddenly appear in the middle of a session. There’s no need to stress over that scenario as we can quickly improve or repair most problems caused by glare, flare, sun spots or shadows. We are well into summer vacations now and before long school will be back in session. Right now is a great time to begin planning for the upcoming school year. Why not strive to make the 2015-2016 school year your best year ever. Efficiency starts with a good plan. By sending your senior retouching to RetouchUp.com you will find more hours in the day to make those calls, photograph more sessions or just catch your breath after a long day out in the field or in the studio. The smoother and more efficient the work flows the sooner you can show proofs or make delivery. One photographer said they had been able to get their delivery down from 3-4 weeks to one week on average after switching to RetouchUp.com for their senior retouching. Now that is a significant improvement. Photographers have tried to find ways to remedy glasses glare for as long as there have been photographs of people wearing glasses. Before Photoshop was available, all glasses glare had to be painstakingly removed on each photograph one by one using pencils and dyes. The images rarely matched so photographers went to great lengths to avoid getting glare. This included removing the lenses from the frames (not very natural looking), looking away from the camera, tilting the glasses down, or just taking the glasses off altogether. The wedding day has finally arrived. You are prepared. You brought extra memory cards, extra cameras, duplicate flashes even bottled water to keep you cool. You are confident that you have the shot list almost memorized so you are all set. There will be inevitable additions, deletions and changes to those pictures the families have requested. Often confusion and misunderstanding can occur in the hectic activity of the wedding day. Such was the case for Sally Watts, Charleston, S.C. based wedding photographer. I would like to thank her for allowing us to share her story. Happy 25th Birthday Photoshop – Also WPPI next week. Kelly O’Keefe has graciously allowed us to show you a recent image she had us to create for her. 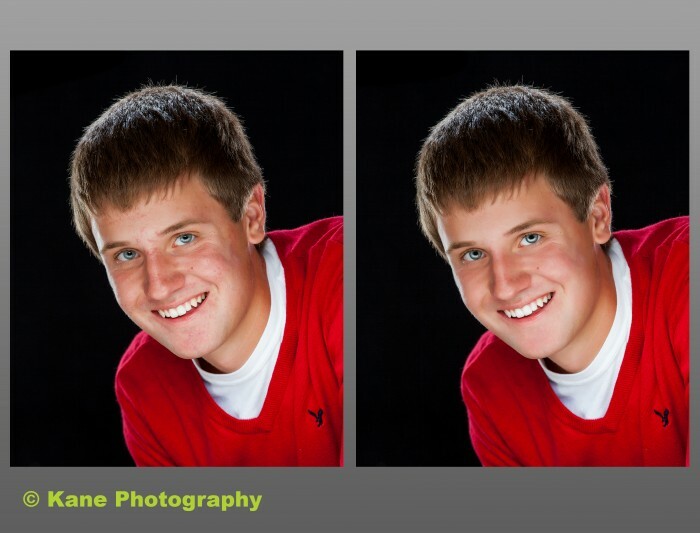 This is a Special Services level retouch at only $10.00. 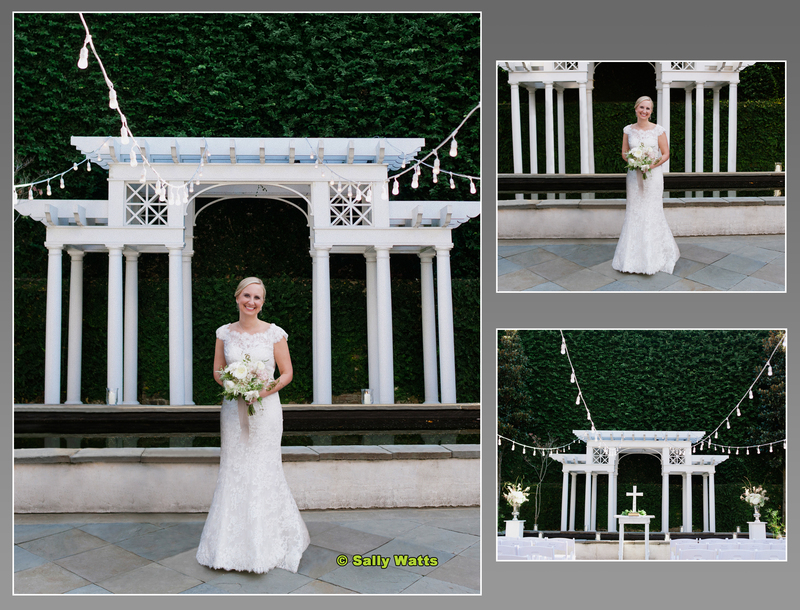 The client had seen an image that really impressed her and came to Kelly to see if it could be duplicated. The client needed a portfolio image and wanted to be on a horse with a snow scene in the background while holding a hawk. 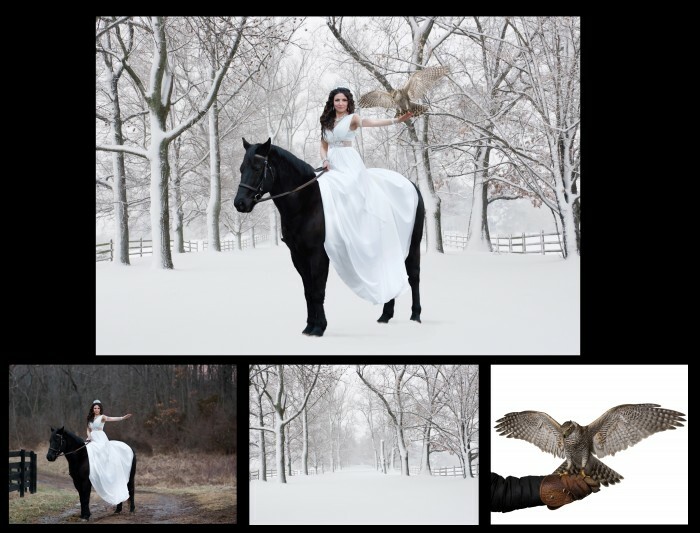 By combining the original image of the model on the horse and images of a snow scene and a hawk we created this stunning portfolio image for this model. If you have never used our color correction division let me give you some reasons to consider using this convenient and time saving service. Nearly every image we take, even in the best lighting conditions, can be improved through some kind of post capture color editing. Our reputation is on the line with every session we deliver so the images we show should be of pleasing natural color and exposure. Excellence in color rendition will set us apart from the casual shooter and show our clients that we are serious about our craft.